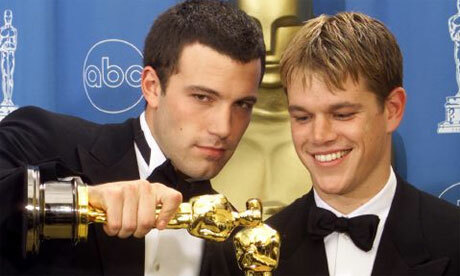 Matt Damon and Ben Affleck, winners of the 1997 Academy Award for Best Writing (Screen Play Written Directly for the Screen) for Good Will Hunting.  Archived in Iconic Literary Men, Literary Randomness. Bookmark the permalink.